Waking up is just the worst. Though often I get my best work done in the morning, I treasure my sleep, and I will admit that leaving the heavenly comforts of my bed is one of my least treasured moments of the day. Put on top of that the fact that I have fibromyalgia (of which I will assuredly make reference to later) compounded by Chronic Exhaustion, and I have a medical reason for objectively needing sleep. But even on the worst days, I still need to get out of bed. The dogs still need walking, the coffee still needs making, and the work still needs doing. If I can get past that initial step, then I can usually make it. However, that initial step is often the hardest one to take. It’s science, really: an object at rest tends to stay at rest unless acted upon by an outside force. 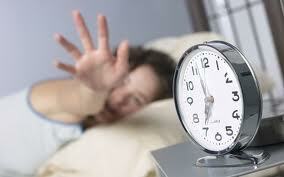 I, a sleeping human, will often stay at rest, unless acted upon by an outside force. Like an alarm. Or a cup of coffee. Or an impatient dog. 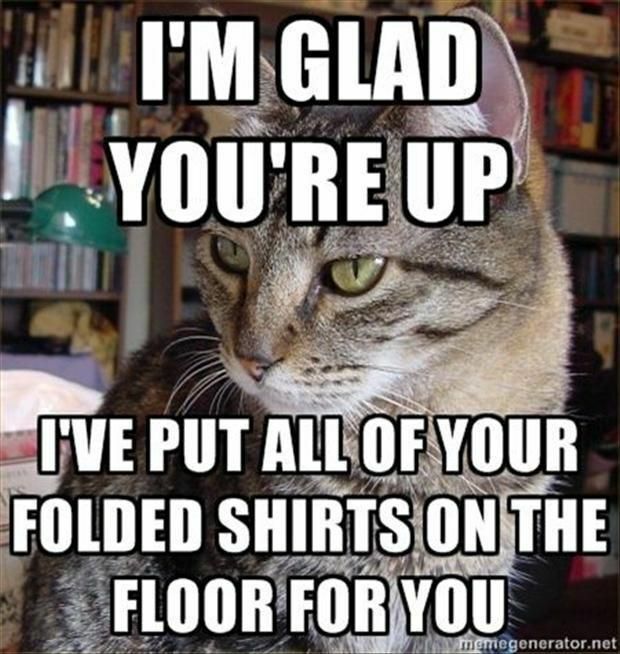 Or a cat being… well, a cat. It’s the same with sin, though. Sin is a really comfortable state to be in. In fact, I would say given the broken nature of humanity, it’s the present default setting. All people have sin. As a mentor of mine was fond of saying, the sinful nature of humanity is a theological statement that can undeniably be proven by historical fact. All humanity is in some way touched by the wrath, greed, pride, envy, gluttony, lust, or apathy of other humans. War, abuse, theft, oppression– all of these occur again and again in life, and though one might be more removed from these realities in some way or another, it does not change the fact that through the interrelated society in which we live, are nonetheless affected by these products of sin. As we are affected and exposed to sin and sin’s effects, the more and more we are wounded and hindered, thus rendered sinful ourselves. The first step to remedying the problem of sin this is admitting that the problem simply exists. The prophet Daniel knew this quite well, and in order to address the problem, he says this prayer, confessing the sins of the Hebrew people, and by proxy, himself. It takes quite a bit of bravery to admit sin, especially the sin of not listening to another person, be that person God or someone else. Which reminds me of one of my favorite movies. 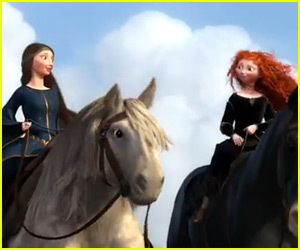 In the film Brave, we are introduced to Merida, the young, willful, and crafty princess and daughter of an equally willful, experienced, kind, but sometimes overbearing queen mother Elinor. Through the course of the movie, Merida is confronted with a problem. She’s a princess, and therefore arranged to be married, not by someone of her choosing, but of her parents’ choosing. This problem aggravates a core dynamic between Merida and Elinor: both are strong-willed, to the point of being stubborn, and Merida defies her mother openly, and in doing so, makes choices that manifest themselves in a curse being placed upon her mother. The film makes the situation all too relatable. Elinor only wants what she sees is best for her daughter, but fails to take into account Merida’s own will. Merida wants to be in control of her life, but this comes at the cost of saying and doing things that do active harm to her mother, and potentially, the rest of the kingdom. The state of selfishness in both of these women is the core of the crisis, and it’s resolution comes out of the acceptance of humility. Acknowledging their own faults and mistakes allows the curse to be lifted. In other words, confessing their sins makes space for their sins to be healed, forgiven. That said, it takes the entire movie for these two people to see that. It’s not an uncommon problem either. Many people go their entire lives without holding their choices to a microscope. We are often unwilling to admit our mistakes, and confess our sins. But only through confession are we able to find a path to redemption. This season of Lent, we are on a journey, and for this one, the hardest step of the journey is the first one. However, the only way to find the right path is to admit that there’s a journey to take. This entry was posted in Uncategorized and tagged Brave, Confession, Daniel, Lent, Religion, Sin. Bookmark the permalink.